If you are seeking funds for a particular cause, say studies, charitable cause, you have to process a request through a grant application form. 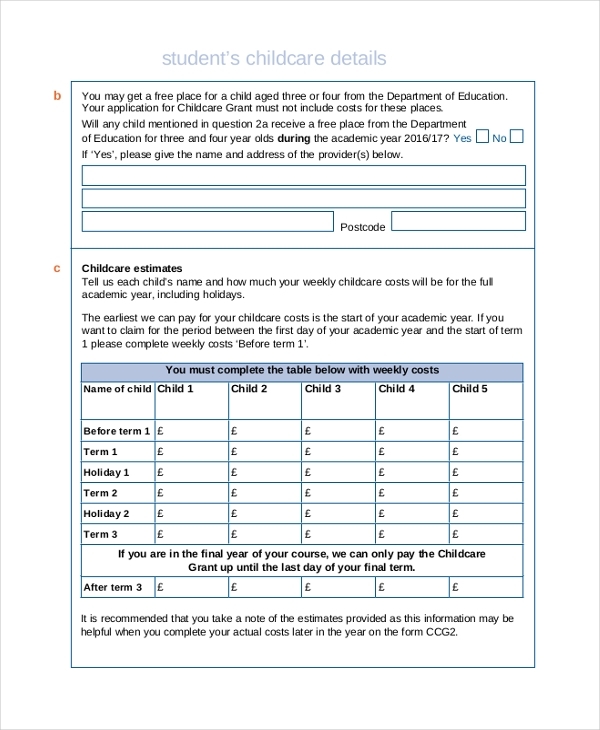 These forms could be used for applying for funds from government bodies and also private organizations such as universities or schools. The Application Forms would need you to state the reason for the fund as well as the amount required to fulfill the program. Your grant application will only be processed if the form fulfills the grant conditions stated by the funding organization. 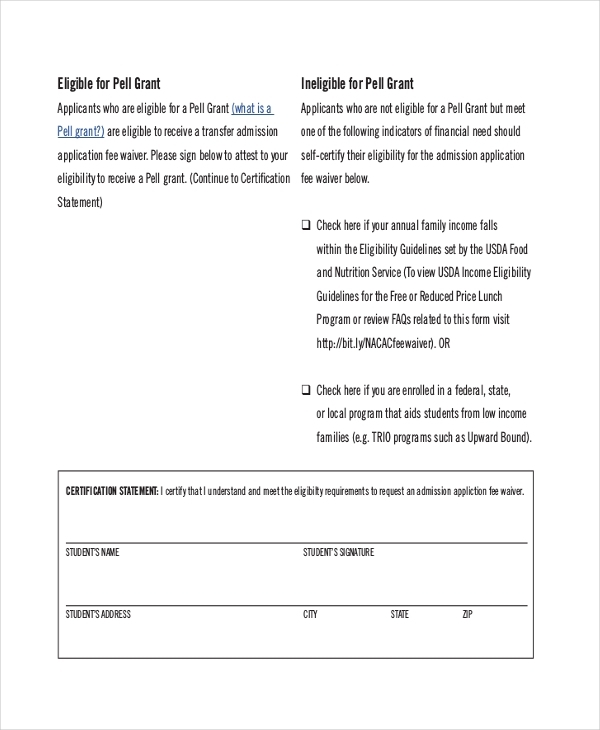 Such a form would be useful when you are looking to apply for the grants offered by Federal Pell Grant Program – meant for low income undergraduates as well as post baccalaureate students for their post secondary education. 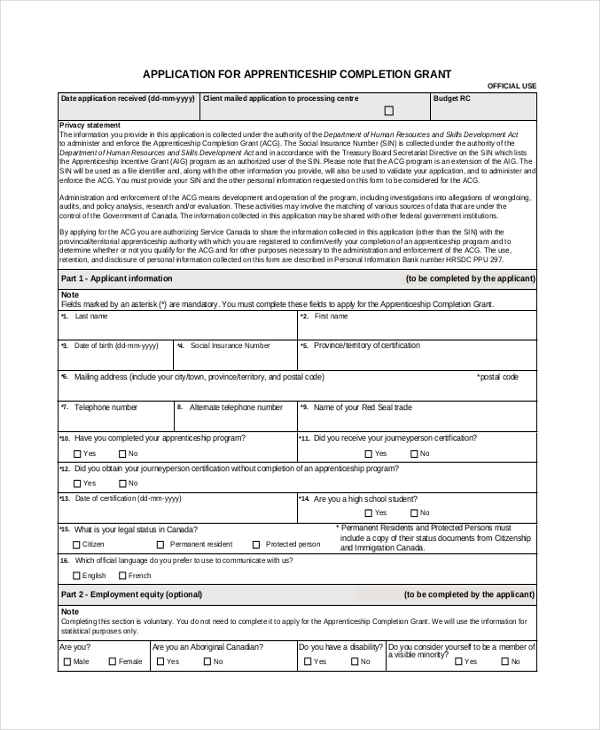 This form is used – to apply for a taxable money grant in the form of cash which the registered apprentices tend to use so as to finish their first, second or final year of the apprenticeship program. 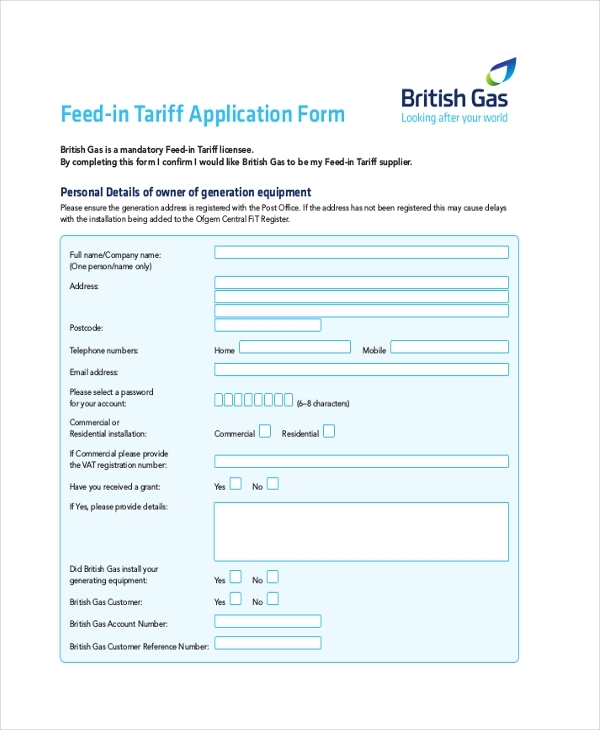 This form is to be filled up by Brits from limited income families, struggling to pay for their consumption of gas and electricity. If they apply for this grant they can remain debt free. 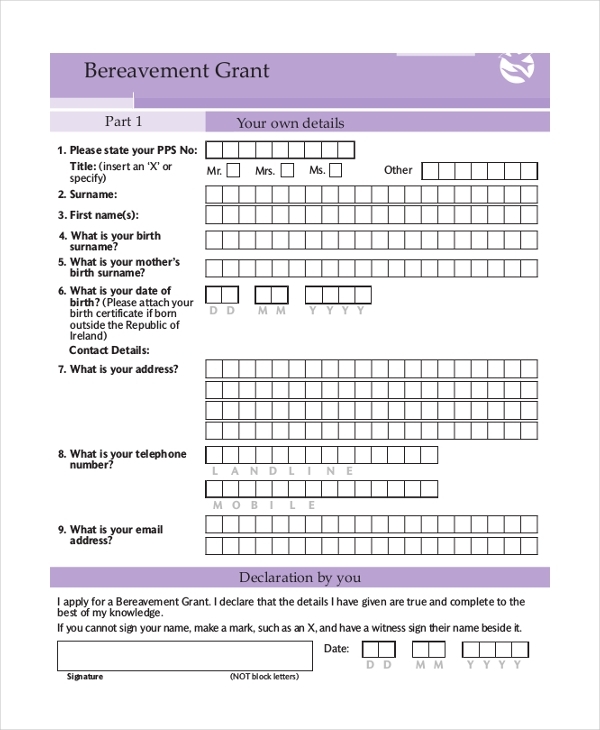 You can use this form to request for bereavement grant which offers one-off payment to help with funeral costs of a loved one- be it your husband, wife or any other sort of a civil partner. Such a form would be useful for star up or small scale businesses looking for funds to establish and grow the enterprise. There are government bodies and private organizations ready to help you with such grants. 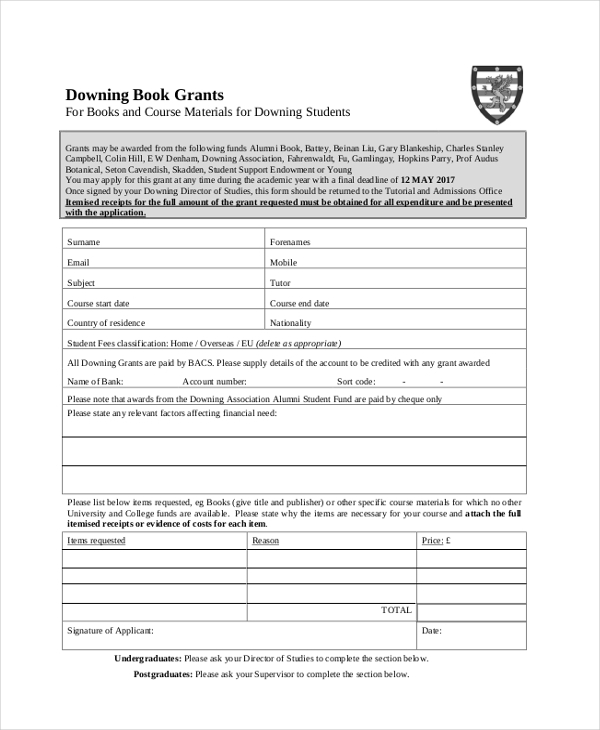 A book grant application form is used to be filled up by schools or colleges who are in need of financial support from government – to help them to provide books to unprivileged children. Owners of community centers that cater to old and aged people tend to use this form to ask for grants from established organizations. The grant helps them to improve the condition of the community center. Such forms are to be filled up by childcare centers when they are in need of the financial support for the betterment of the children. These grant applications are sent to government bodies and charitable organizations. 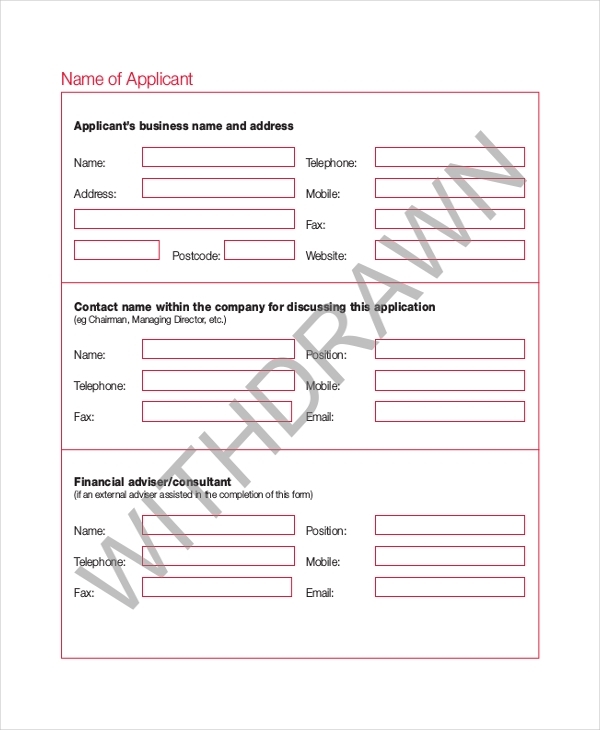 A common grant application form is basically an outline which says how to format a standard grant application form. It benefits both the grant seekers, decision makers and organizations who review the grant proposals. 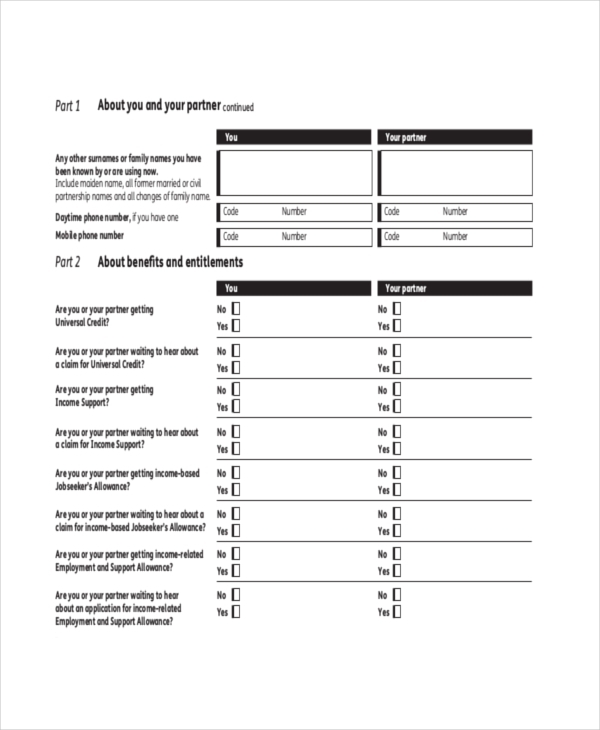 This form is used to request gratuity of the deceased parent or spouse. The form requires bank account name and number and also the IFFSC code of the respective bank. 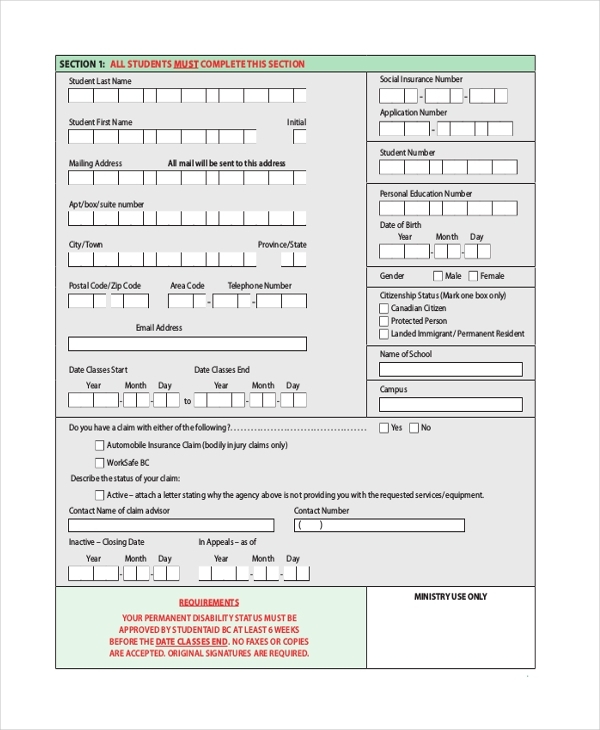 This form is used to apply for grants if you are either mentally or physically disabled to the extent of being incapable to work for a very long period of time. If you are unfit to work for a period of more than 7 months, then you should apply for this. 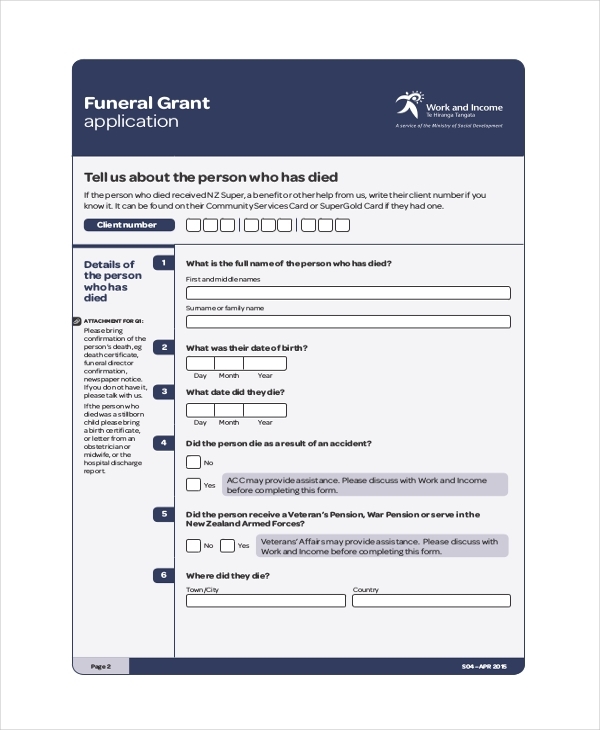 This form helps people from very low income families to bear the funeral costs of their loved ones, spouse, and parents and so on. This form of grant, fortunately, is quickly approved. 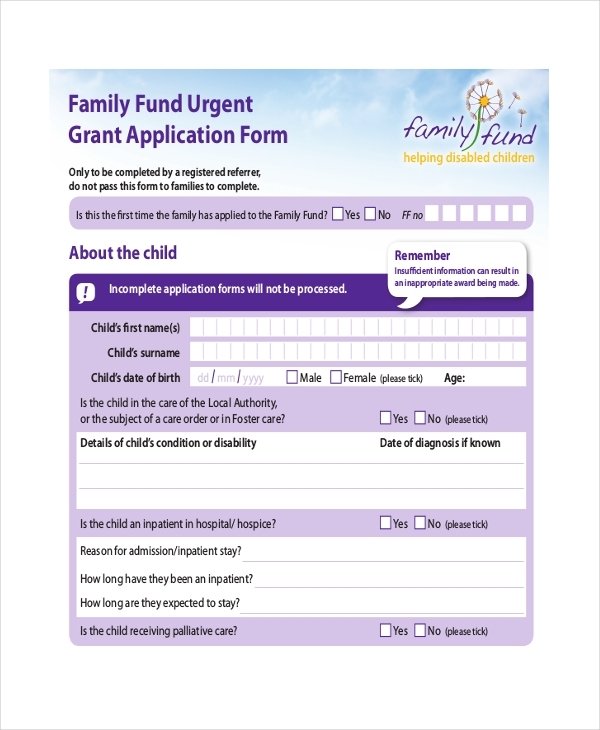 Such grant application forms are required by parents who are unable to bear the high treatment and care costs of their disabled children. Both mental and physical disability conditions are considered by this grant. 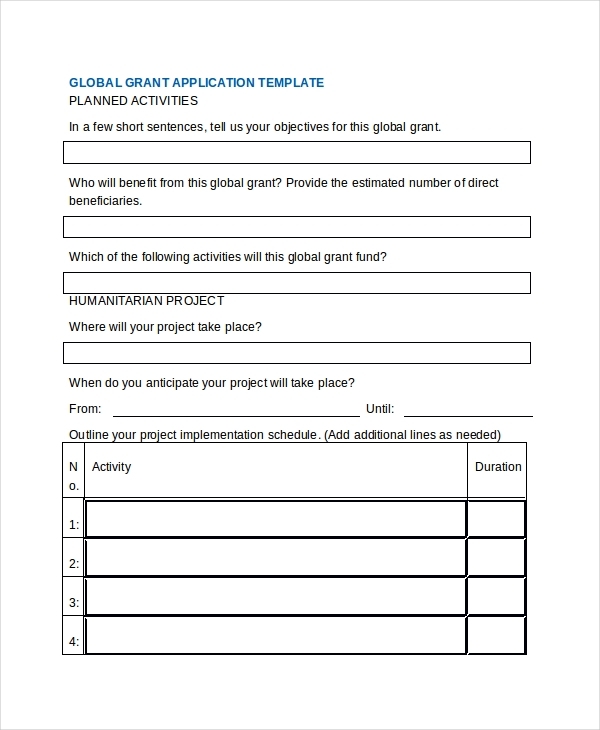 Global grant application forms are used by those seeking funds from international organizations. These funds generally help to cover educational costs, R & D expenses, as well as humanitarian causes. If you are in need of funds to wipe out some social and local hazardous obligations an incentive grant application form would be handy for you. These grants are mostly requested from government bodies. Newlywed couples who survive on very low income, job seekers and young mothers who are yet to finish school seek for this grant if they happen to conceive a child. Do We Need to Keep a Deadline in Mind While Applying Through a Grant Application Form? No you need not. In cases of most of the grants, there is no set deadline. However, some organizations do select and reject grant applications on the basis of first come first serve. So you need to be prepared always regarding that. On top of that, the companies which approve your grant application form tend to have board meetings 4 times every year so they keep in mind about your needs and requirements. So, worry not. But keep in mind this one thing. Always try to fill up a newly updated form so that you can add in all sorts of additional details that the desired organization might want to know from you. You may also see General Application Forms. What Do You Need to Add Along With The Grant Application Form? Organizations that are interested to approve your grant application form would want to know every little bit of details about you. So, it is advisable that you attach a lot of other documents that will give some support to the cause of your grant need. You can attach brochures of the development that your company has achieved with the help of its previous grants – and also exactly how trustworthy your company is in terms of its services to the needy. You would even need to attach a document which mentions the resources that you might want to add to your new project so that it develops into something positive. 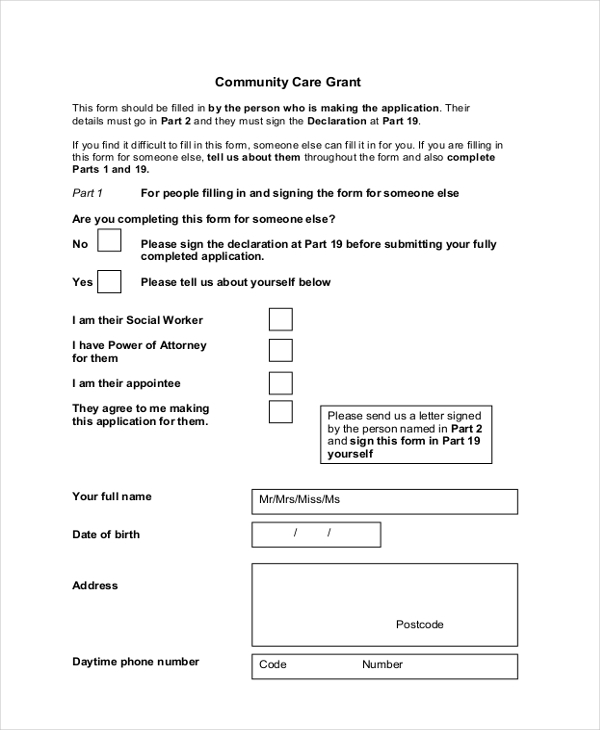 What are The Uses of Grant Application Form? Grant application form is a formal document that you need to fill up while requesting financial support from an organization – be it a government body, or a private organization. These application forms cater to various forms of grants. One is for academic purposes when the students need financial support to continue higher education. If you are a start up looking for some additional boost for your business capital, there are business grant application forms to go for. There are grant application forms that help you to apply for financial support for humanitarian causes. Besides you have funeral grant application forms to take care of the last rites of your loved one. 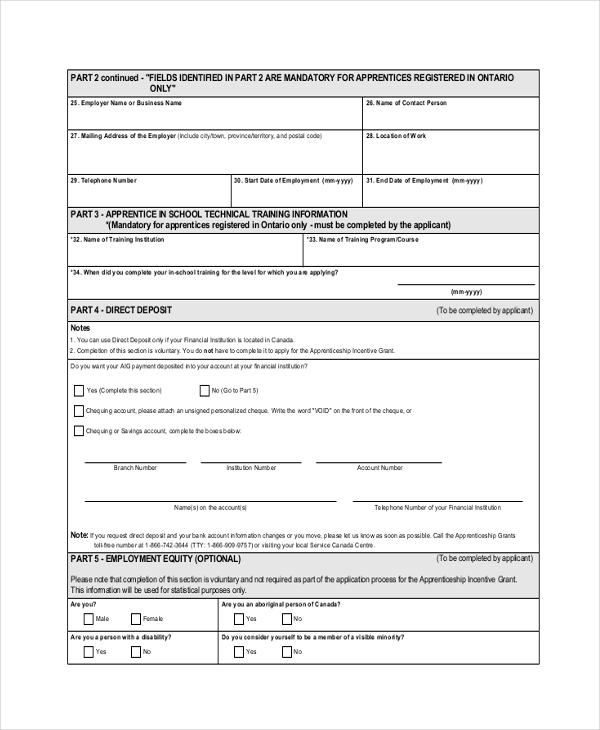 You can also see Employee Application Forms. Before you approach for grants, keep in mind that they are only given to people who are eligible in terms of their qualifications as stated by the funding organizations. 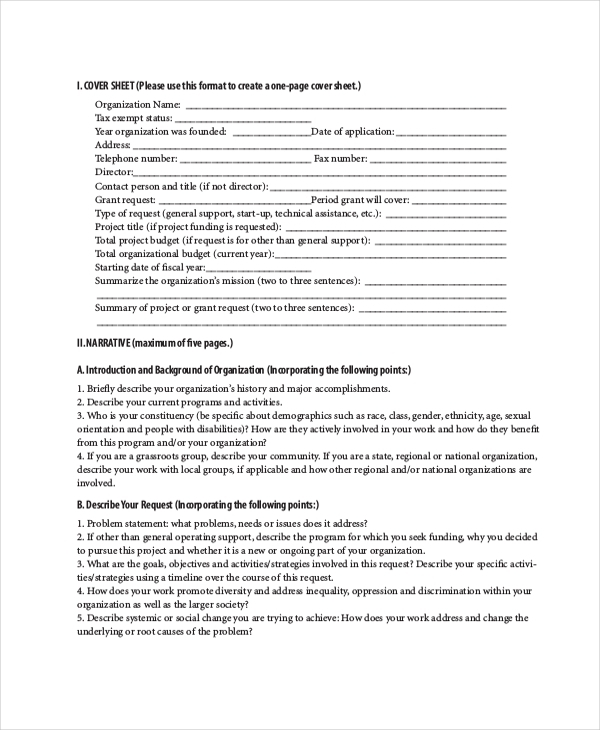 A grant application form would need you to highlight the most positive aspects of your project so that the funding organizations understand the gravity of your grant application.